Find your 5 rep max. In November of 2008 I applied for CrossFit Affiliation. It took a couple of months to get approved, set up the website get that reviewed etc. We did not officially start being CrossFit West Houston until Jan 2009. 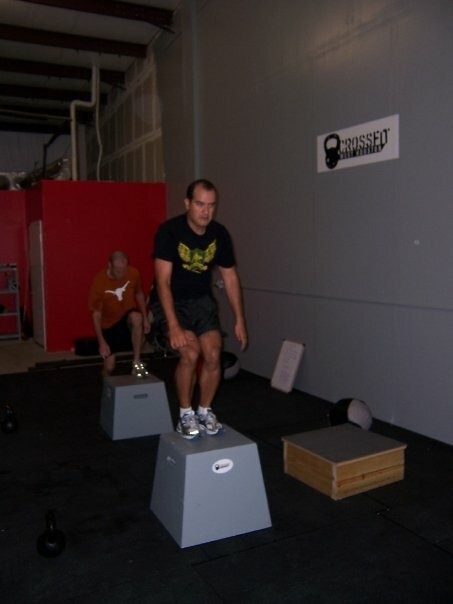 So leading up to our 10 year anniversary we will be doing some throwback wods from 2009. Back then we were very spartan not much room and not much equipment. Some of the equipment was homemade, some was bought locally because Rogue, Again Faster, Get RX, Fitness Depot were not around or not supplying CrossFit equipment. Somehow we made it work and grew. No Comments to "Thursday 11/01/18"